ITV has suspended all phone-ins on its participating TV shows while an independent review investigates the fairness of the competitions. It's the latest development concerning the phone-in saga, which picked up when ITV admitted it over-charged the public by £200,000 for X-Factor phone-ins. The two-part investigation, conducted by independent auditors Deloitte, will look at past and present interactive phone-ins. Shows like Dancing on Ice and, to a lesser extent, This Morning, will be affected. The popular skating competition, which relies on public phone voting, will only come back to our screens if its phone-in procedures are declared fair. In a statement, John Cresswell CEO of ITV said: "This is a concern across the whole industry but ITV viewers can be confident that we will always act responsibly and take firm action to address issues that may arise." In February, Channel 4 came under fire after its hit afternoon show Richard and Judy was accused of fixing phone-ins. It was alleged that viewers were encouraged to call in to enter a quiz even after the contestant had been selected. The BBC doesn't escape, either. 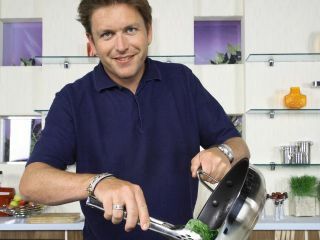 The Corporation admitted it encouraged people to phone in to Saturday Kitchen on 10 February even though it wasn't a live broadcast - it was a pre-recorded episode.